For Southerners, I don’t think there’s any food that says Summer more than a fresh garden tomato. Forget sauces, stews or sun dried: think bright-red, juicy tomatoes straight from the vine, carved into thick slabs on the plate and spinkled with a little salt (if you’re old school), sugar (if you’re a transplant) or splashed with basil oil or balsamic reduction (if you’re a foodie). 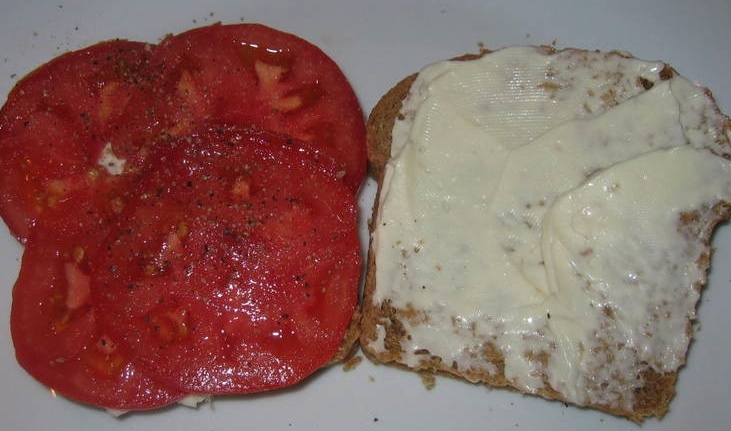 A succulent, sun-ripened tomato elevates Wonder Bread and mayonnaise to manna-like stature. I’ve seen people stuff them with tuna salad and salmon mousse, marry them with mozzarella and even eat them plucked from the plant, like apples or peaches, walking around with the juices running down their chin. 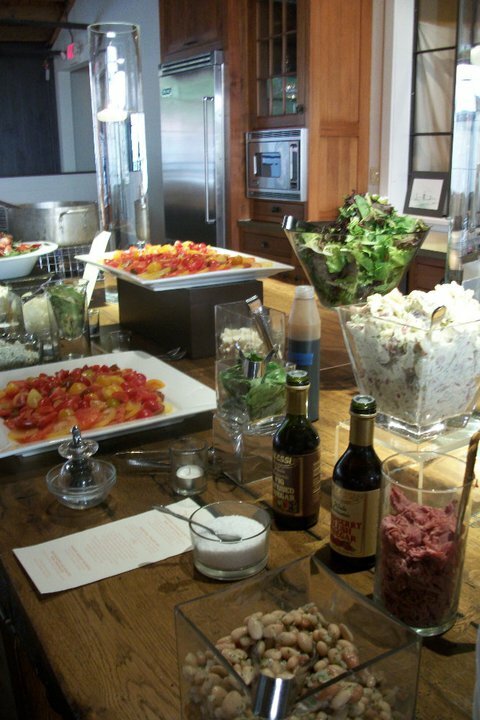 My favorite new way to present them: the Heirloom Tomato Bar. We came up with this idea last year for a farm-to-table wedding menu, but haven’t had the opportunity to offer it again until this past weekend. 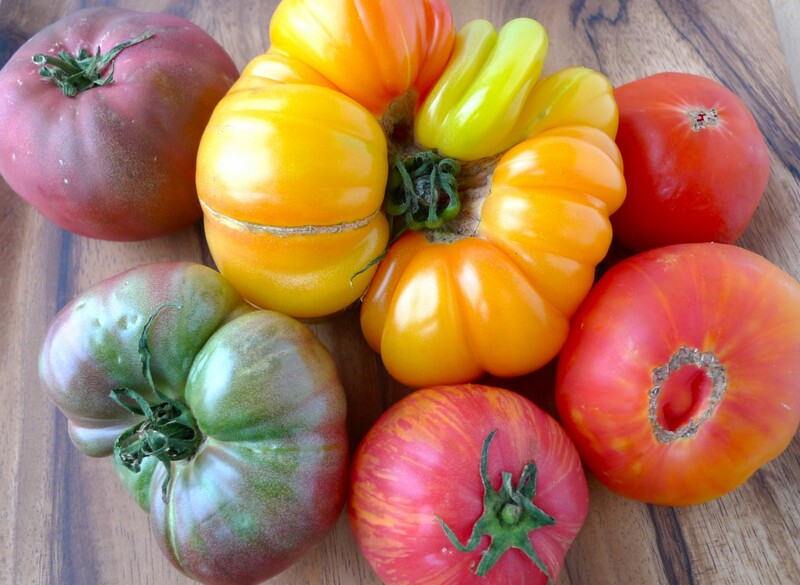 Chef Jason started with a gorgeous array of local heirloom tomatoes in reds, oranges, greens, yellows and purply-red-black hues, all sizes and shapes, sliced and whole. It was such a show-stopping way to present local Georgia produce. I think all of the guests were truly blown away by the vibrant colors, textures and luscious tastes. 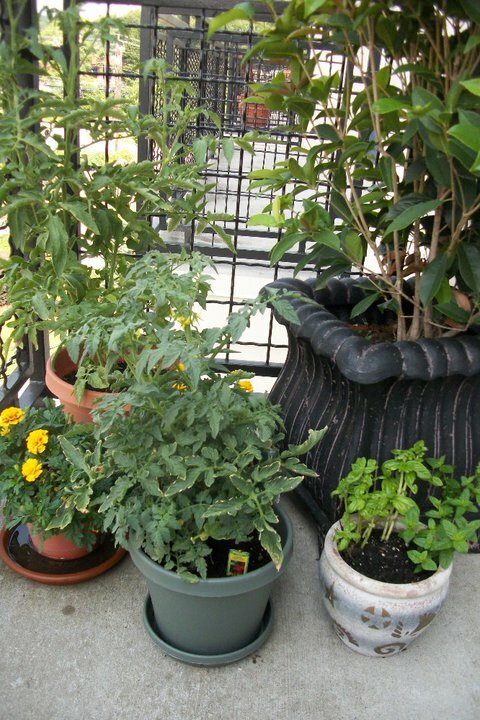 I’ve been pouring a ton of obsessive love (and plant food) into my two little tomato plants on the terrace, hoping to harvest a little home-grown heaven for myself sometime in the near future. Despite my reputation as the anti-gardener, they’ve been growing like gangbusters: I can’t believe it’s only been six-weeks since I got them! And me? No need for fancy! I like my tomatoes best chilled and sliced, with a dash of salt and a sprinkle of pepper, served with sweet corn on the cob, dripping with butter; some crispy fried chicken and fluffy buttermilk biscuits. Those are the memories of my childhood, of hot July nights and summer suppers with my grandparents. It may not be the healthiest way to eat tomatoes, it might not be the swankiest way to eat tomatoes; it just might not be your to-mah-to, but it’s my tomato, and I can’t imagine a better meal. May 23, 2011 New Plants! July 4, 2011 Triple the size! 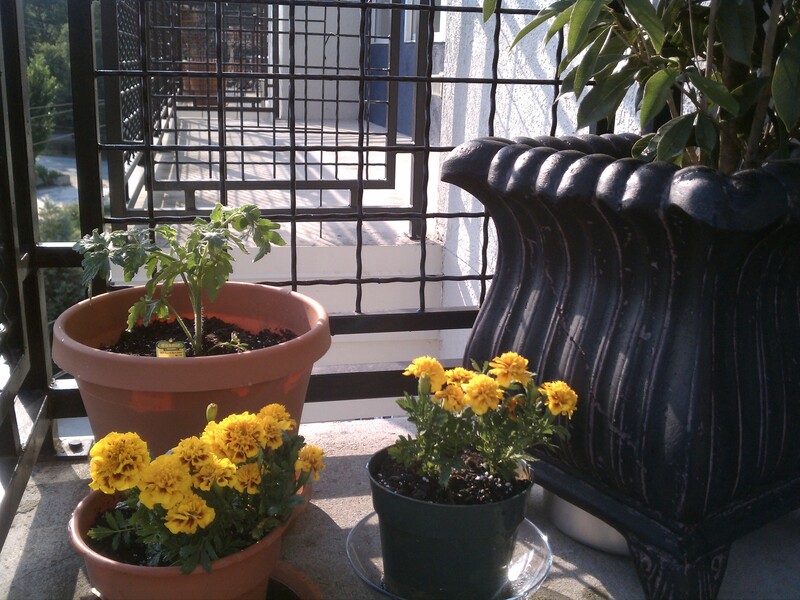 This entry was posted in Uncategorized and tagged garden, heirloom tomatoes, tomato bar, tomatoes. Bookmark the permalink. Give me a knife full of mayo and some tomatoes. I don’t need any bread. Oh , the salt shaker! Hmmm. Absolutely. But the bacon is nice, too!